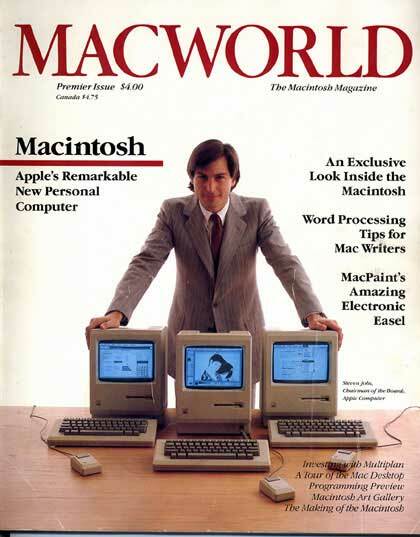 Here's the cover of the first issue of MacWorld magazine, featuring Steve Jobs, which was handed out at the end of the shareholder's meeting where the Mac was announced. 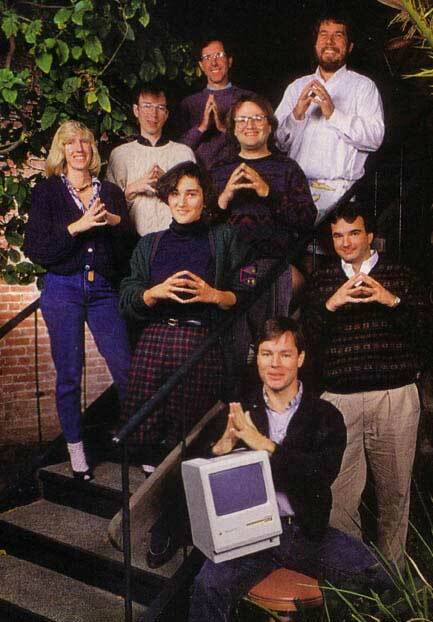 Some members of the Mac team photographed in 1989, to celebrate the 5th anniversary of the Macintosh. Everyone is folding their hands in tribute to a favorite Steve Jobs gesture. The back row on the stairs is Patti Kenyon, Bud Tribble, Brian Howard and Steve Capps. The front row is Joanna Hoffman and Andy Hertzfeld. On the right are Larry Kenyon and Mike Boich. 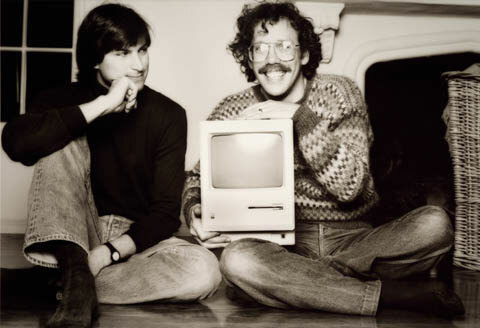 This photo of Steve Jobs and Bill Atkinson, which was taken by Norman Seiff in January 1984, captures something about their close relationship.